All VapeSling® holders have a cradle. Whether it is the original or Half-Pint (HP), installation is done in the same manner. As illustrated on the Demo video (apologies for all the UH and ER from J.G. ), the cradle is positioned with its aperture centered on the Mod 510. The cradle could rather be inserted onto the atty 510 as well. Your choice, either way works. Once positioned, rotate the atty onto your mod with the cradle in between the atty and batty. After the atty feels tight, continue to rotate tighter, using the cradle. Pull on the cradle in the direction of rotation. This assures the tightest fit for your secure VapeSlinging. Our proprietary cradle is constructed of 4 layers. 2 ultra-thin layers of PVC line the inner layers of 2 layers of canvas. This canvas has a course surface, creating what we call a “Bite”. This bite holds on to your atty and mod contact surface, restricting any rotation from daily vaping. Enjoy vaping while never losing your Vape, Slingers! 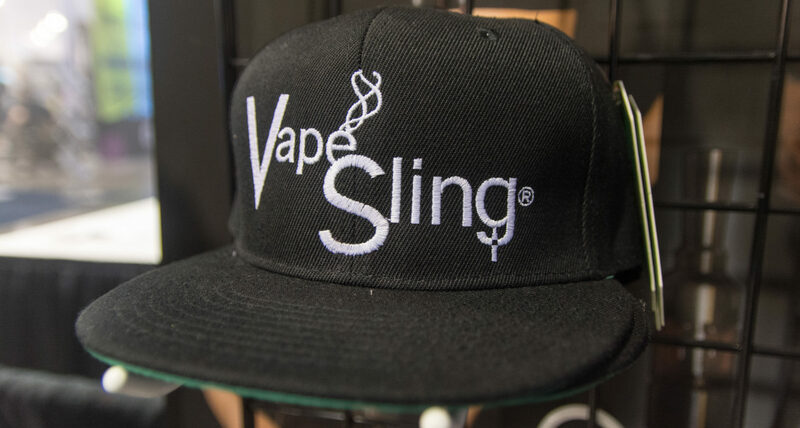 Thank you for Slinging with VapeSling® since 2014.